The acoustics inside a church can make the difference between a properly communicated message and a garbled-up mess. To help churches overcome acoustic challenges, let’s examine some of the prevailing myths about church sound. Not only are acoustic panels more expensive to add later, rather than during construction, they often look like they are just slapped on the walls. Small modifications to the walls at the time of construction can be done with little or no additional cost. Treatment materials can be incorporated into the design, creating an attractive and effective space. Remember, when it comes to good acoustics, and for that matter, sound system design, you can either do it early, or often. Ministry happens in every room of a church. Conference rooms, classrooms, lobbies, common areas, fellowship areas, cafés, and gymnasiums (these multi-purpose rooms can double as secondary worship centers) all host important conversations. We often hear that people can’t understand each other in the common areas, and can’t understand a teacher or leader in the classroom-style spaces. The truth is, there are many acoustical products on the market designed with a high aesthetic value. Not only can you select from a wide variety of fabrics and finishes, but some can be screen printed to match your decor, or resemble art. Turning up the volume, or moving the speakers around does not resolve the acoustical issues of a room, bad acoustics are still bad acoustics. The cost of an electronic “Band-Aid” is often more expensive than doing it right, with good acoustical design. A full version of this article is available as a Download PDF. 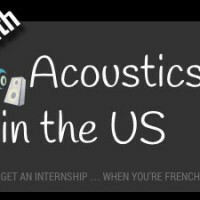 As you address these rooms, be sure to work with an acoustical consultant like Acoustics By Design. 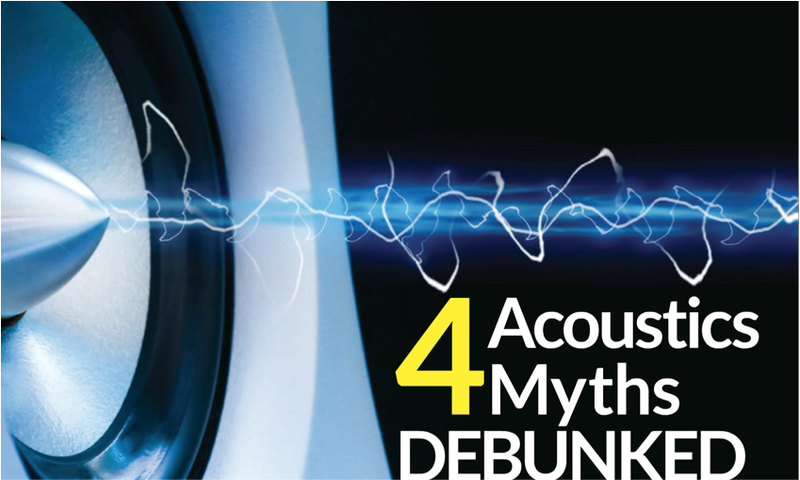 Not only do we help debunk these acoustic myths, but we also design solutions to improve noise isolation and mechanical noise control. Our audio, video, and theatrical lighting consultants also design electronic solutions to enhance your spiritual message. Acoustics By Design is a member of the National Council of Acoustical Consultants. This gives you assurance to know that we are independent consultants that are acting in your best interest to make sure that you end up with the best solutions for the limited funds available. In fact, most of our consultants are volunteers at their own local churches, so we know how important your message is.